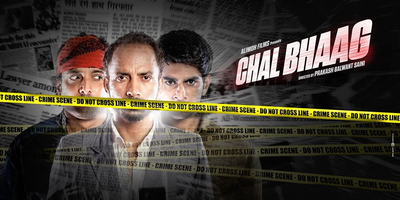 An engaging chemistry of action and fun Btown debut banner Alimoh Films 'Chal Bhaag' is a comic 'slap' to the fake police encounters that 'sticks' to its duty to perform snaky twist and turns powered by delightful performances. Conclusion: 'Chal Bhaag' is well acted, comically and economically timed pure desi fun on the run that humbly questions our policewala's misuse of gun. Go for it.